EMSL Analytical, Inc. is proud to announce that its Boston, Massachusetts laboratory has added lead (Pb) testing through the American Industrial Hygiene Association Laboratory Accreditation Program (AIHA-LAP, LLC) Environmental Lead Laboratory Accreditation Program (ELLAP). EMSL Boston can now analyze paint, soil, settled dust by wipe and airborne samples for lead. EMSL Boston is already accredited by AIHA-LAP, LLC Environmental Microbiology Laboratory Accreditation Program (EMLAP) for mold/fungi testing in air, bulk, and surface by direct examination as well as the Industrial Hygiene Laboratory Accreditation Program (IHLAP) for asbestos analysis. The laboratory is a participant in the AIHA Environmental Lead Proficiency Analytical Testing Program (ELPAT) for lead testing in paint chips, soil, dust wipes and air. EMSL Boston is also a participant in the Environmental Microbiology Proficiency Analytical Testing Program (EMPAT) for fungi as well as the Industrial Hygiene Proficiency Analytical Testing Program (IHPAT) for asbestos testing. In addition, the laboratory is certified by the National Voluntary Laboratory Accreditation Program (NVLAP) for air and bulk asbestos analysis. EMSL Boston holds state certifications for Massachusetts, Vermont, Rhode Island, Connecticut, and Maine for polarized light microscopy (PLM), phase contrast microscopy (PCM) and transmission electron microscopy (TEM). EMSL Boston is located at 5 Constitution Way, Unit A, in Woburn and can be reached by calling (781) 933-8411. 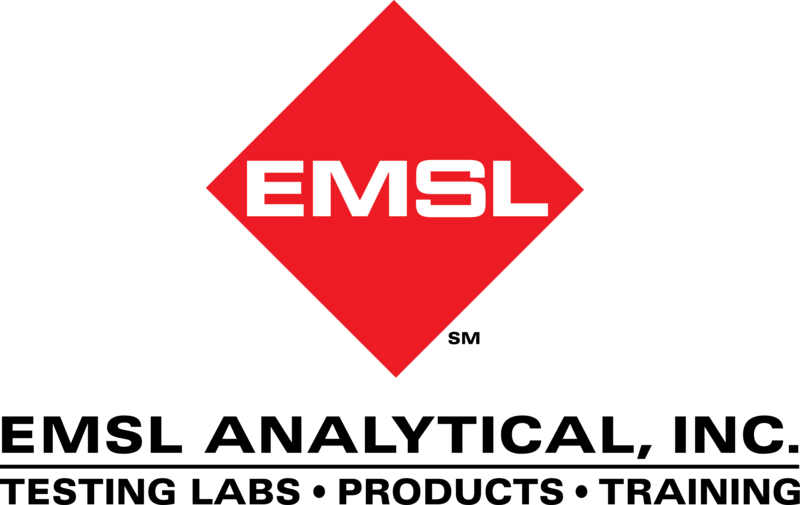 To learn more about Lead Testing or other testing services, please visit www.EMSL.com, email info@EMSL.com or call (800)-220-3675.